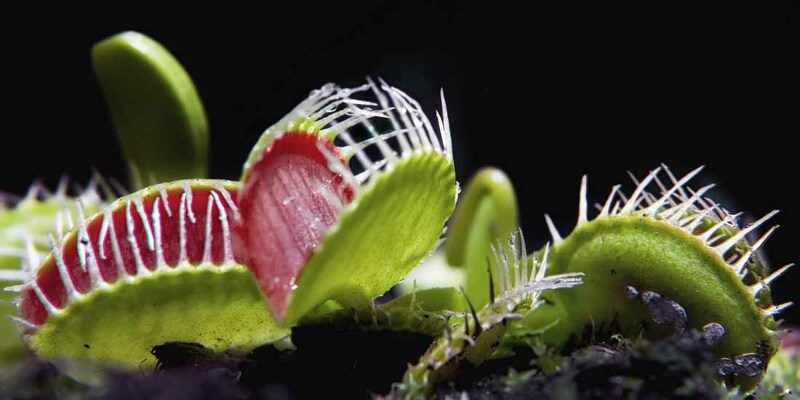 Prepare to be amazed as he hooks up the Mimosa pudica, a plant whose leaves close when touched, and the Venus flytrap to an EKG to show us how plants use electrical signals to convey information, prompt movement and even count. When an insect or spider crawling along the leaves contacts a hair, the trap prepares to close, snapping shut only if another contact occurs within approximately twenty seconds of the first strike. The requirement of redundant triggering in this mechanism serves as a safeguard against wasting energy by trapping objects with no nutritional value, and the plant will only begin digestion after five more stimuli to ensure it has caught a live bug worthy of consumption.